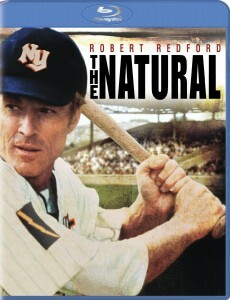 One of THE best baseball classic movies was released on Blu-ray on April 6, 2010! The Natural, was nominated for four Academy Awards in 1984 and is my absolute favorite baseball movie. 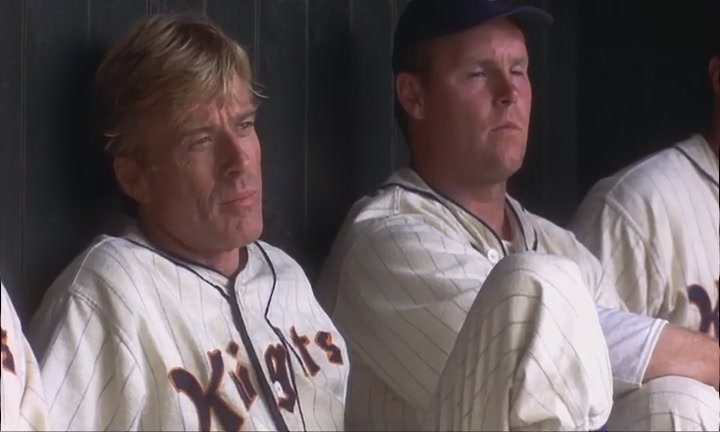 Robert Redford stars as the mythical Roy Hobbs, a country boy with hay in his hair that just happens to be the best damn baseball player that ever lived. But Hobbs’ career is railroaded early on and he has to battle his way back to the hallowed ground of the Major Leagues. The rest of the incredible cast of Robert Duvall, Glenn Close and Kim Basinger and the amazing cinematography complete this perfect game of a film. If you haven’t seen The Natural then it’s very very simple… BUY THE BLU-RAY — PERIOD! Even if you hate baseball, this movie will make you love it. The Blu-ray was priced at $24.95 and includes a three-part behind-the-scenes making-of and Sony Pictures Home Entertainment’s MovieIQ+Sync. The studio has been running its movieIQ feature on Blu-rays for a while. It’s basically a movie database like IMDb that gives viewers information about the movie through BD-Live. With movieIQ+Sync will display information about the film on your iPhone or computer screen instead of on your television screen. I don’t own an iPhone and I don’t really see the benefit of the film displaying information on my computer instead of my screen. Personally, I’d rather it just be on-screen if I wanted to watch it… I can’t see holding your iPhone, even if you owned one, whilst watching a movie so that you can see information about the movie you are watching… but hey… maybe I’m just getting too old?